SpaceX is gearing up to finally complete the first-ever test flight of its Falcon Heavy rocket, which has been much-awaited for the past couple years. But, Musk is not done showing off the payload and the final addition to the same on social media at the last moment. The private space company, if you didn’t know, is sending into outer space an original Roadster electric car to test out the payload carrying and deployment capabilities of the Falcon Heavy. But, Musk’s humour is now taking the front seat (see what I did there) and he is not exactly planning to send a driver-less Roadster to Mars. 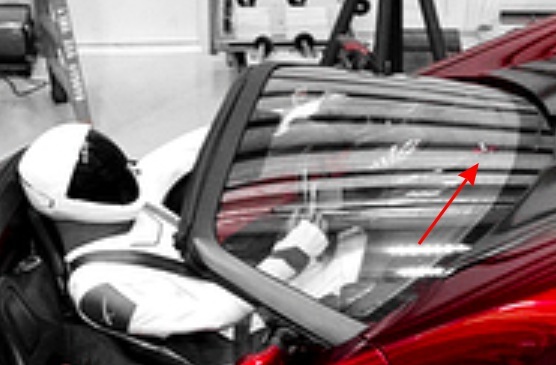 So, the inventor and creative mind that he is, Musk has decided to send out a dummy that is dressed in SpaceX’s in-house developed spacesuit as the driver of the red Roadster. The said spacesuit was first shown off earlier last year when SpaceX teased how the cockpit of their crewed Dragon missions will look like. 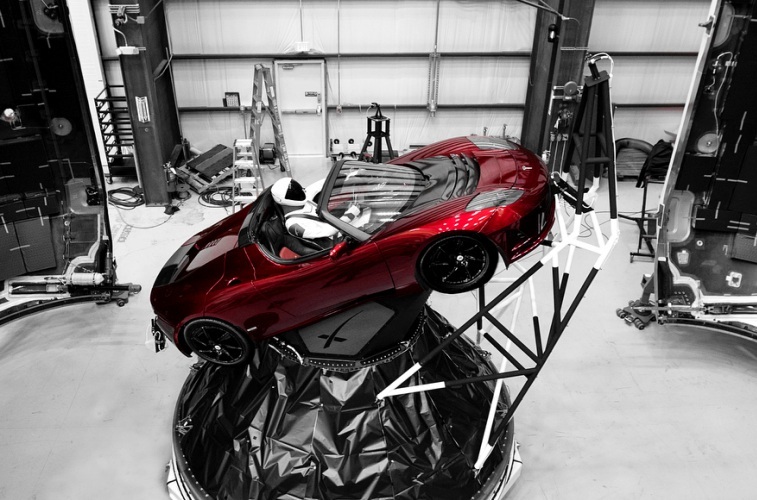 As for the dummy, it has been named “Starman” and it’ll be behind the wheel of the Roadster and make the journey to the Red Planet, post the much-anticipated launch tomorrow. As you can see below, Musk has uploaded 3 photos of Starman, who’s looking ready to enjoy a once-in-a-lifetime opportunity. It’s possible that he may become the first-ever dummy to make it to Mars and eventually land on it as well. You can surely take a closer look at Starman, who’s casually sitting in the elevated electric vehicle. But, not everyone is as eagle-eyed as some Reddit users, who’ve found that Musk has pushed the troll-mode button to the max. If you zoom into any of the Starman photos, then you’ll notice that the SpaceX team has installed a mini figure of a Tesla Roadster with an astronaut in the driving seat. Is your mind blown yet? As for the upcoming flight, SpaceX is planning to create history with the launch of Falcon Heavy, which will become the world’s largest rocket if everything goes according to plan. The lift-off is scheduled for 10:30 AM PT tomorrow from the iconic Apollo launch complex 39A at Cape Kennedy in Florida. The private company has further announced its plans to attempt the recovery of all three first-stage rocket boosters of the Falcon Heavy, which in itself will be a major feat.